Marketing Cannabis Under Bill C-45: Trying Plain Packaging without Inhaling? On April 13, 2017 the Federal Government introduced Bill C-45, which will, if passed, legalize the sale and possession of cannabis in Canada. The law will not simply remove criminal sanctions; it will provide a carefully limited framework for the sale and consumption of cannabis. In light of Bill S-5, also before Parliament, and which will introduce plain-packaging rules for tobacco products, it is worth considering the marketing framework for cannabis. It should be remembered that the Report of the Task Force on Cannabis Legalization and Regulation recommended plain packaging for cannabis and related products. Because of the cautious and measured approach to the legalization of cannabis reflected in the bill, it is not a surprise that Bill C-45 will place significant restrictions on the marketing of cannabis-related products and accessories. For example, under section 17 it will not be permitted to market such products by association with real persons or fictional creatures, through testimonials, in a way that communicates information about price or distribution, or in any manner that would be attractive to young persons (defined as those under the age of 18). Lifestyle advertising is also specifically prohibited. There are some exceptions to the strict limits on marketing. For example, the Bill permits the use of cannabis-related “brand elements” on something that is not cannabis or a cannabis accessory – although only in certain circumstances. This means that you can put these brand elements on promotional or other items such as t-shirts or ball caps – except of course, that the “thing” on which the brand elements are put must not be associated with young persons, reasonably likely to be appealing to young persons, or associated in any way with a glamorous or interesting lifestyle. As a result, instead of t-shirts and ball caps, it may perhaps be more realistic to find cannabis-related logos on things like pocket protectors. False and deceptive advertising with respect to cannabis and cannabis-related products is specifically prohibited by section 18 of the Bill. This too is no surprise and not likely to be controversial. False and misleading representations in general are already prohibited under section 52 of the Competition Act. Section 18 will capture, however, claims about things such as “value, quantity, composition, strength, concentration, potency, purity, quality, merit, safety, health effects or health risks” of cannabis products. It will be interesting, therefore, to see where the boundary will be drawn between “false and misleading” advertising and mere puffery. 20. It is prohibited to promote, in a way that is prohibited by this Part, cannabis, a cannabis accessory, a service related to cannabis or a brand element of any of those things in a publication that is published outside Canada, a broadcast that originates outside Canada or any other communication that originates outside Canada. The provision seems oddly worded and raises issues about extraterritoriality. For example, the prohibition in section 20 is not limited to Canadian-based persons or businesses or ones with ties to Canada who engage in such marketing from outside of Canada. Yet its application would surely have to be limited to a person or business with some connection to Canada. Further, it does not say that the publication or communication must make its way into Canada, or, if it is online, must target Canadians in some way. Section 21 of the Bill would prohibit the use of cannabis-related brand elements, or the name of someone associated with the production, sale or provision of cannabis or related services, in the sponsorship of persons, events, facilities or activities. It will also be prohibited to use cannabis-related brand elements or names of producers or sellers on facilities. None of this is particularly surprising. The Tobacco Act has long placed restrictions on lifestyle advertising in relation to tobacco products, and has also placed limits on sponsorships of events and facilities. Legal challenges to these types of marketing restrictions failed in the case of the Tobacco Act because the enormous public health issues associated with tobacco provided a justification for the government to restrict the expressive rights of tobacco manufacturers in the public interest. Some might argue that the risks/harms associated with consumption of cannabis are less significant than with tobacco – justifying lesser restrictions – but good luck to them. In applying section 1 (the justification provision of the Canadian Charter of Rights and Freedoms) courts have been very deferential to the public policy goals of government. Given that we are moving from criminalization to a limited right to legally sell cannabis and related products, the measures are likely to be found to be reasonable limits demonstrably justified in a free and democratic society. In any event, it is not a total ban on marketing. The bill creates an exception for “informational promotion or brand-preference promotion”, so long as such promotions are carried out in prescribed places and in a prescribed manner (to be determined by regulations) or are carried out in ways that are careful to ensure that the messages do not reach “young persons”. Point of sale promotion is also permitted, so long as it is limited to information about availability and price. The Bill also hints at further restrictions, the boundaries of which will not be clear until accompanying regulations are drafted. Section 19 prohibits the use of “any term, expression, logo, symbol or illustration” that is specified in the yet-to-be-drafted regulations if such use is in the promotion of cannabis, or cannabis-related products or services. It is not clear if these regulations might restrict, for example, all logos – in other words limiting available trademarks to word marks. Clearly, the limits on usable terms and expressions will also have an impact on the available word trademarks for cannabis products. Since these products have not been legal up until this point, it is not as if s. 19 and its accompanying regulations will deprive existing trademark holders of the rights to use established marks. 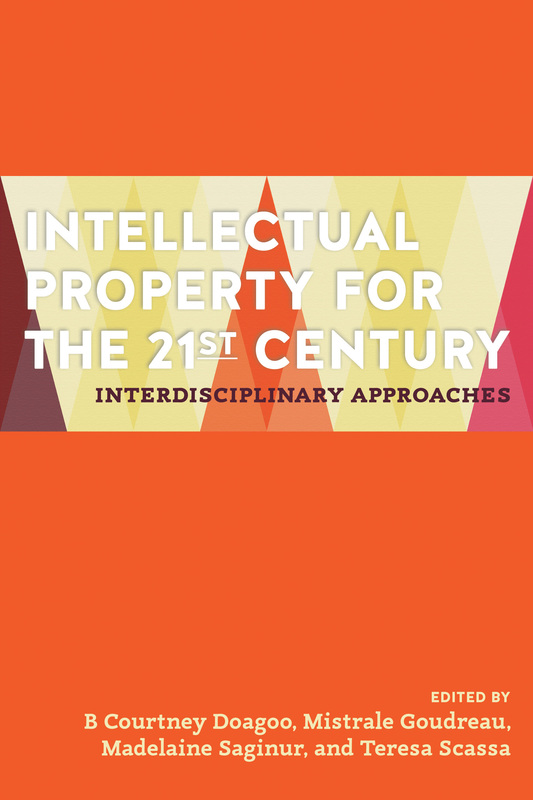 Instead, the effect is more likely to set parameters for the use of language and images in trademarks and on packaging. While this is a restriction on the freedom of expression, it is one that may well be considered minimally impairing by the courts. Sections 25 to 28 of the Bill nevertheless make it clear that there will be restrictions on the packaging of cannabis and cannabis-related products. It will be necessary to wait for the regulations to know just how extensive these restrictions will be. Those already listed in the bill are similar to the restrictions discussed above regarding marketing more generally. There is also a restriction in s. 28 that is similar to that in s. 19. It places limits on the use of certain terms, logos and so on, as may be set out in the (awaited) regulations. Some have wondered whether the regulations might actually introduce plain packaging, as was recommended by the Task Force on Cannabis Legalization and Regulation. Plain packaging, (as I discuss here), substantially restricts the use of trademarks and other brand elements on tobacco packages, and mandates the use of a plain colour and graphic health warnings. Yet there are notable differences in the wording of Bill C-45 when compared to Bill S-5. Bill S-5 prohibits, in section 5.3 the sale of any tobacco product that bears a marking that is not authorized by the regulations. By contrast, Bill C-45 provides that its regulations will list terms, expressions and logos that may not be used. There is a clear difference between prescribing what can be used and listing what may not be used. If Bill C-45 is meant to introduce plain packing via the regulations, it seems oddly worded for this purpose. Thus it will not be prohibited to show persons in films or on television consuming cannabis or using cannabis-related accessories (no doubt to the relief of the Trailer Park Boys) so long as there is no product-placement or other marketing dimension to the depictions. The Toronto Star is reporting that Canadian architect and indigenous activist Douglas Cardinal is seeking an injunction to prevent the Cleveland Indians from wearing uniforms bearing their logo and team name, and from displaying their logo when the visit Toronto this week for the Major League Baseball playoffs. The legal basis for the injunction is an argument that the team’s name and mascot are discriminatory. Mr. Cardinal has also filed human rights complaints with the Ontario Human Rights Tribunal and the Canadian Human Rights Commission. While Mr. Cardinal is litigating, he might also want to consider that the name and the offensive cartoonish mascot are also registered trademarks in Canada. (Search for “Cleveland Indians” in the Canadian Trademarks Database). Challenges to the registration of the Washington Redskins’ notorious trademarks are currently before the courts in the U.S. The Redskins trademarks, which most recently have been cancelled in the U.S. for being disparaging of Native Americans (with that decision under appeal), are also registered trademarks in Canada. To date, no one has challenged these or other offensive trademarks in Canadian courts. 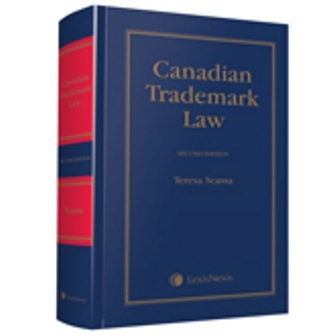 Canada’s Trade-marks Act bars the adoption, use or registration of trademarks that are “scandalous, obscene or immoral”. I have written before about circumstances in which this provision has been invoked – or not – to disallow the registration of trademarks. Any challenge to the validity of the marks could be based on the argument that the marks should never have been registered, as they were racist and discriminatory at the time of registration (which, in the case of the Cleveland logo was in 1988). While an applicant to have the trademark expunged might have to address issues of delay in bringing the application, it should be noted that s. 11 of the Trade-marks Act also prohibits the use of a trademark that was adopted contrary to the provisions of the Act. In principle then, the continued use of a trademark that was “scandalous, obscene or immoral” when it was adopted is not permitted under the legislation. Of course, this use restriction raises interesting freedom of expression issues. In the United States, marks that are denied registration for being “disparaging” can still be used, thus arguably shielding the trademarks legislation from First Amendment (free speech) challenges. There is a great deal of unexplored territory around the adoption, use and registration of offensive trademarks in Canada. Former Justice Murray Sinclair of the Truth and Reconciliation Commission (now Senator Sinclair) called for action to address the use of offensive and racist sports mascots and team names. Douglas Cardinal has clearly responded to that call; there is still more that can be done. Note: At the hearing on the injunction on October 17, 2016, the Court declined to grant the injunction, with reasons to follow. Toronto Star coverage is here.